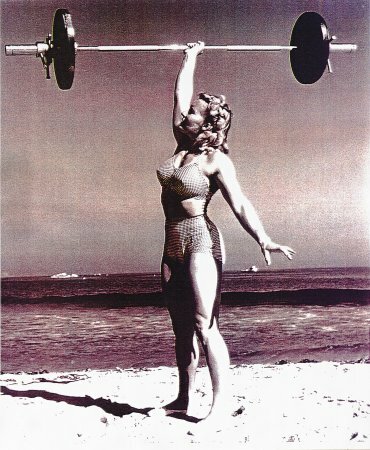 An intriguing book to browse through, this is a historical collection of women and their ever-evolving relationship with muscle-building exercise (more specifically, weight-lifting). 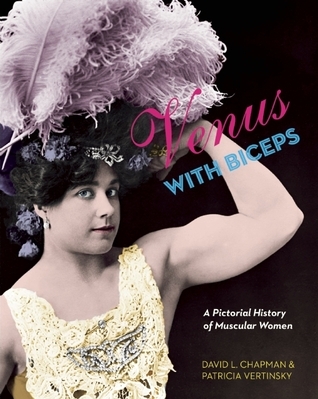 This is packed with pages of old photographs and is a slightly weird book portraying how body-building women have been viewed by media and society over the past 150 years or so. Although it was interesting to see the pictorial history, this book had the feeling of “being cobbled together” from two different books with two very different audiences. The first chapter or two are by Vertinsky and are very serious and academic (along with footnotes and bibliography etc.) – complex sentence structure, “big” words and all that jazz needed to get published in the world of tenure. The rest of the book is mostly pictures with very little discussion (apart from a few inane captions). It’s rather as though Chapman had this idea of getting this pictorial together, but needed to have some credibility (and access to funding?) from an academic source (Vertinsky). Vertinksy probably needed to get something published for her tenure packet and this would have been an easy score – the chapters, I would argue, are probably from a previous journal submittal or similar. Once these two chapters are done, there is never a whisper, a molecule, a mention of the Academic again in the whole rest of the book. (“Aah. My piece is done…”) The difference in the level of the two works was very striking to me. So, saying all that, I still enjoyed this book and its reflection on the history of female body building. It wasn’t the academic heavyweight tome that I thought it might be at the beginning, but it did keep my interest, both from my perspective as a (former) serious athlete and a woman. It was insightful to see the rise and fall and then rise again of female athletic culture in the U.S. (and some U.K.) Although published in 2010, the book ends in the 1980’s just when things were getting more equal and I would have loved to see more recent times covered. Whether you are an athlete or not, this picture collection certainly shows how far public acceptance of the fit and healthy female body has come, and it underscores the valuable lesson of just how varied the human body can be. Pudgy Stockton, early U.S. female bodybuilder publicity photo. This entry was posted in books, history, Non-fiction and tagged gender roles, history, Non-fiction, sports, women, women's history by lizipaulk. Bookmark the permalink.